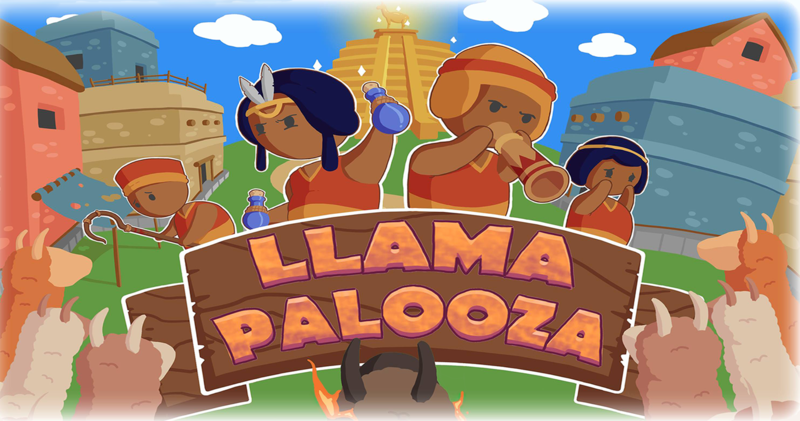 Llama Palooza is a hectic and fast paced 3D party game for 1-4 players where the focus is to get all the llamas to calm down and stop destroying the village of Dala. You play as a llama herder who is desperately trying to gather the llamas whose gone wild! To help you control the crazy llamas you'll have cool weapons! With some luck, you'll have teamwork too. Working together is of utmost importance as the llamas swarm the village in waves to ravage one district after another. Use everything at your disposal to subdue the llamas! This game is made to be played by everyone, as long as they can hold a controller. It’s for family and friends, or strangers, who want to play a party game made to bring people together with teamwork and communication. *Please start the game and plug in one controller at the time, we are aware of this issue.